[PTT CIRCULAR P] น้ำมันหล่อลื่นคุณภาพสูงสำหรับงานอเนกประสงค์หรือใช้ในระบบหมุนเวียน (Circulating Oil) ทั่วไป มีคุณสมบัติโดดเด่นในการแยกน้ำ (Demulsibility) และมีคุณสมบัติการป้องกันการเกิดปฏิกิริยาออกซิเดชั่นดีเยี่ยมเพื่อช่วยยืดอายุการใช้งานยาวนาน พร้อมทั้งช่วยป้องกันสนิม Premium-grade circulating oils designed for multi-purpose lubricanting and circulating systems. They provide excellent water separation (Demulsibility) and superior anti-oxidation to extend oil drain intervals along with rust and corrosion prevetions which helps to improve wear protection. 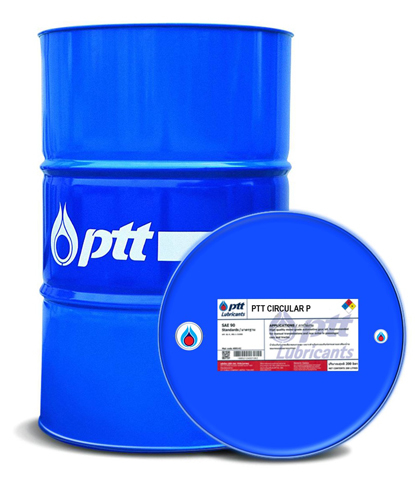 • Designed for industrial circulating system where water demulsibility (water shedding) is concerned and multi-purpose lubricant in industrial where rust preventive and anti-oxidation oil is needed. • Applicable for general industrial bearing where extreme pressure (EP) performance is not required. • Can be used as once through oil.